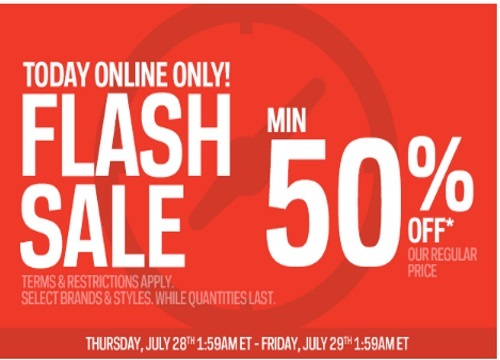 Sportchek's Flash Sale is back! Save a minimum of 50% off on regularly prices plus get Free Shipping on any sized order! Select brands and styles only, while quantities last. Some terms and restrictions apply. This offer is valid online only from Thursday, July 28 at 1:59am ET - Friday, July 29 at 1:59am ET.